Despite how it sounds, “Tulipmania” does not refer to just a general love of tulips; it was actually one the world’s first recorded major financial bubbles. Long before the dot com frenzy or the real estate bubbles of recent decades, there was Tulipmania in the Netherlands beginning around 1624 and reaching its peak from 1636 to 1637. While the extent of the mania, in terms of how widespread it was, is still largely debated, as is what all the elements involved were that caused it- nevertheless, for a brief time, Tulip prices in the Netherlands rose to ridiculous levels, with one flower costing more than the annual income of a skilled tradesman, and for certain types of tulips, over ten times more! Why the frenzy over tulips? It seems like such a simple, almost run-of-the-mill flower to us; just about every neighborhood in Middle America has some blooming in their yard. But to Dutch horticulturists of the 17th century, the tulip was lauded as exquisitely unique and put on a high pedestal. The colors were far richer, lush, and concentrated than those of just about any other flower in Europe before the Tulip was introduced via importation from Turkey (initially in the mid-16th century and from then slowly spreading throughout Europe). The Dutch people quickly became enamored with the tulip and having tulips in your garden soon was something of a status symbol. Once this psychological component was in place, the ground was made fertile for a buying craze and a bubble. The life cycle of the tulip itself was another factor in the buying squeeze and frenzy. The mother bulb of a tulip only lasts a few years and can only produce two to three clones per year. It takes a full seven years to grow a tulip from a seed. 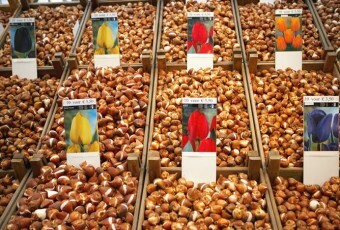 While the demand of tulip buyers spiked during Tulipmania, the supply of actual tulip bulbs did not. Tulip bulb prices rose at a steady pace through the 1630s as more and more speculators entered the market. Who all these speculators were is up for debate, but it appears they comprised mostly of wealthy merchants and tradesman, rather than members of the nobility and somewhat more traditional investors. For this reason, tulip trading tended to take place more in taverns than at the stock exchange. By 1636, ANY tulip bulb — even low quality bulbs — could be sold for a small fortune, with an average price of about 160 guilders, and at its peak near 200 guilders. Unfortunately, there’s no real accurate way to translate that to modern day currency, but for reference, a typical skilled tradesman at this time generally only made about 150 guilders. So if you want to translate it that way, a typical skilled worker today in the United States (someone with some sort of post-high school education, but not post-secondary education) averages about $48K per year; so using that extremely loose correlation, an average tulip bulb would cost around $64K at the mania’s peak. At this peak in late 1636, some tulip bulbs were changing buyers up to ten times per day, with people no longer typically even taking possession of the bulbs, simply purchasing them in the futures market and then trying to sell up for profit. In fact, with many of these exchanges, not only did the bulbs not change hands, but money usually didn’t either at this time, with the exchange to happen when the bulb(s) were physically taken possession of, which was no longer happening in most cases. The height of the frenzy came in a famous incident when seven orphaned children auctioned off their inheritance from their deceased father: 70 tulip bulbs. One was an extremely rare Violetten Admirael van Enkhuizen bulb, which ended up selling for 5,200 guilders — an all-time record. The total yield of the auction was 53,000 guilders… for 70 bulbs. In another auction, in 1635, 40 bulbs were sold for 100,000 guilders. Again, a typical skilled tradesman at this time only made about 150 guilders per year. Mackay went on to say that there was one very rare tulip that was traded for not money, but for four fat oxen, eight fat swine, twelve fat sheep, two hogsheads of wine, four turns of beer, one thousand pounds of cheese, two tons of butter, a bed, a silver cup, a set of fine clothes, two lasts of wheat, and four lasts of rhye. This was all valued at around 1500-2000 guilders. In another instance, he stated a Semper Augustus bulb was traded for 12 acres of farm land. But not long after this, the tulip market crashed in spectacular fashion. There was nothing gradual about it. 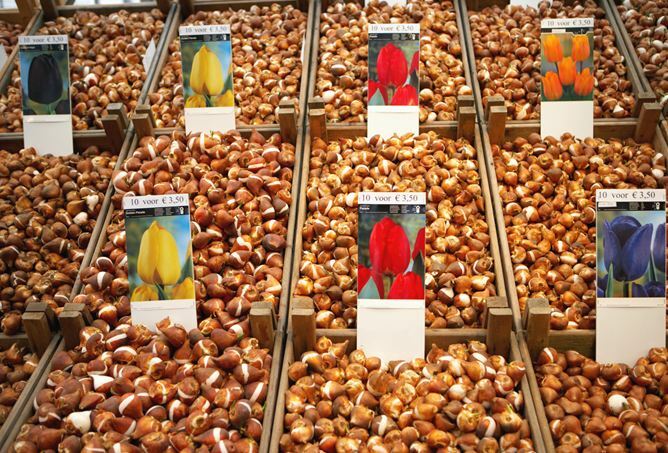 It began in the city of Haarlem at a routine bulb auction, when an investor did not show up and pay for his tulip bulb purchase. This started people worrying over the fact that there seemed to no longer be anyone who actually was buying the bulbs to acquire the physical tulips; rather, they were simply buying them to turn around and sell again. Without any apparent buyers, only sellers, within days widespread panic ensued among the tulip traders. Some of the more savvy investors tried to prop up the market, but the demand for tulips very quickly dried up, and the market soon evaporated. Tulips that had fetched a few thousand guilders just weeks before were now valued at only 1% of that. Surprisingly, the fallout from this doesn’t appear to have been very drastic. While some lost their fortunes, most simply paid small penalties on not honoring their tulip contracts and moved on with their lives. (Tulip futures speculators were not obligated to pay the full amount of their contract, simply a small percentage if they chose not to pay for their purchase, which also seems to have contributed to the growth of the bubble.) This, combined with the fact that most of the trading took place on “Main Street”, rather than at the stock exchange and among nobility, and that in general no money or tulips changed hands during the height of the bubble, resulted in the overall economy not being affected much at all, contrary to what you may often read. EXCELENT ARTICLE WITH GREAT PSYCHOLOGICAL FODDER FOR THE MIND. THE SENSELESS MANIA STILL CONTINUES IN OTHER FORMS……MERCEDES MANIA, ROLEX MANIA, WINE MANIA ETC ETC. The Black Tulip, Alexandre Dumas.